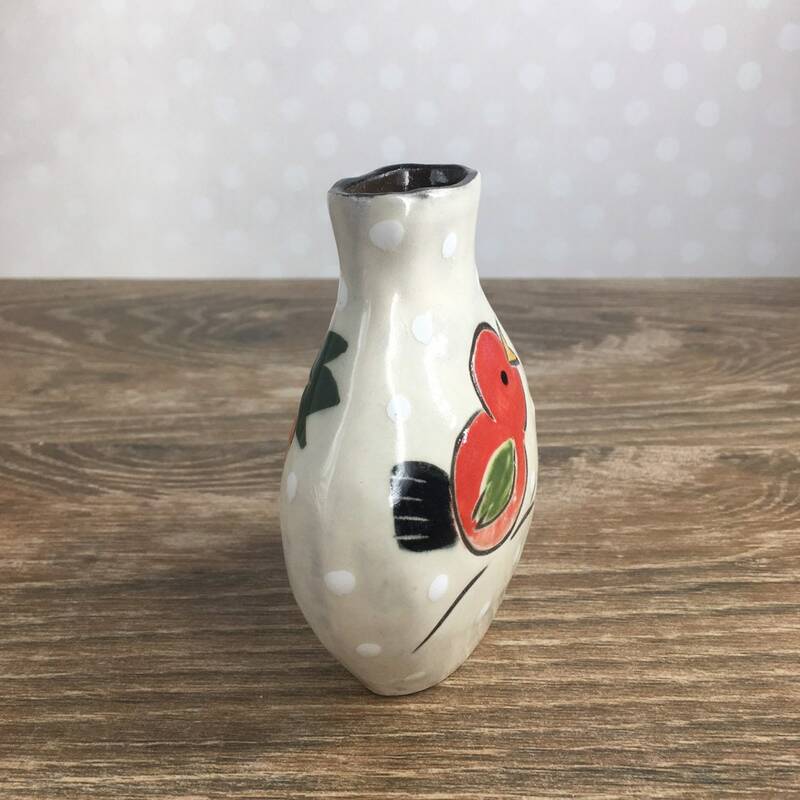 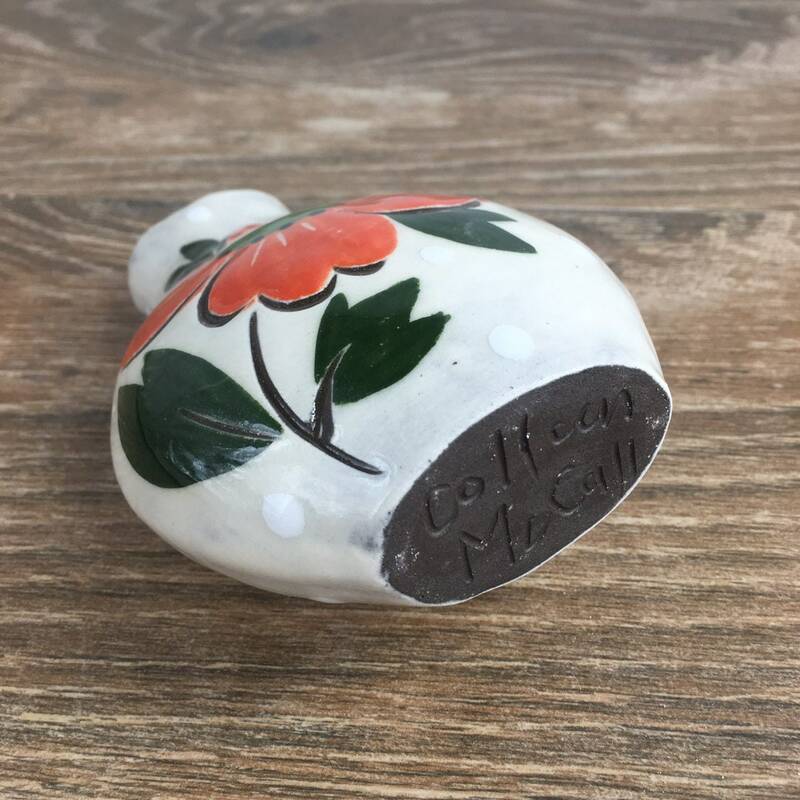 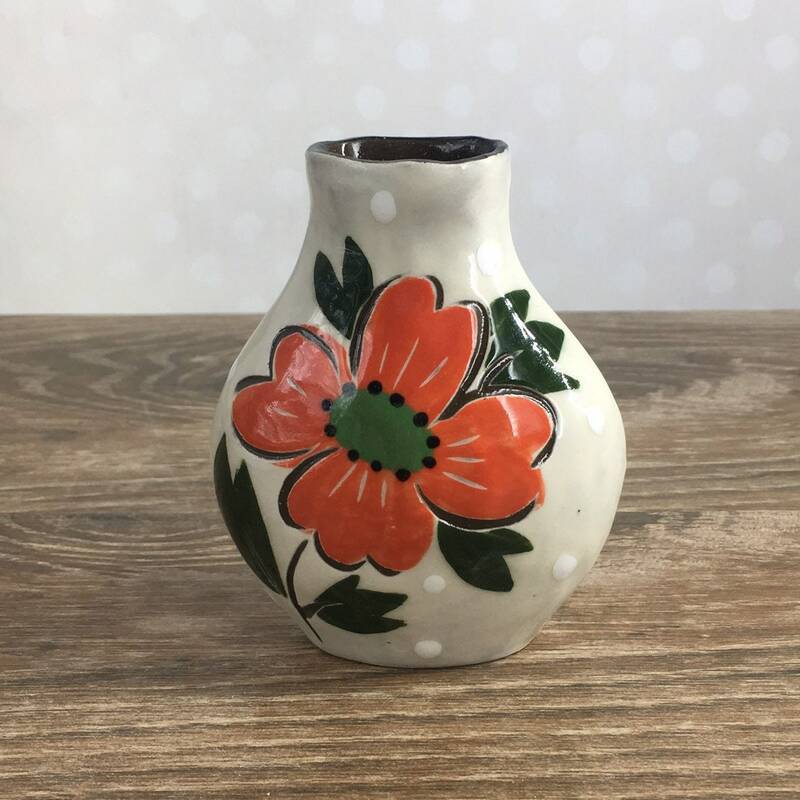 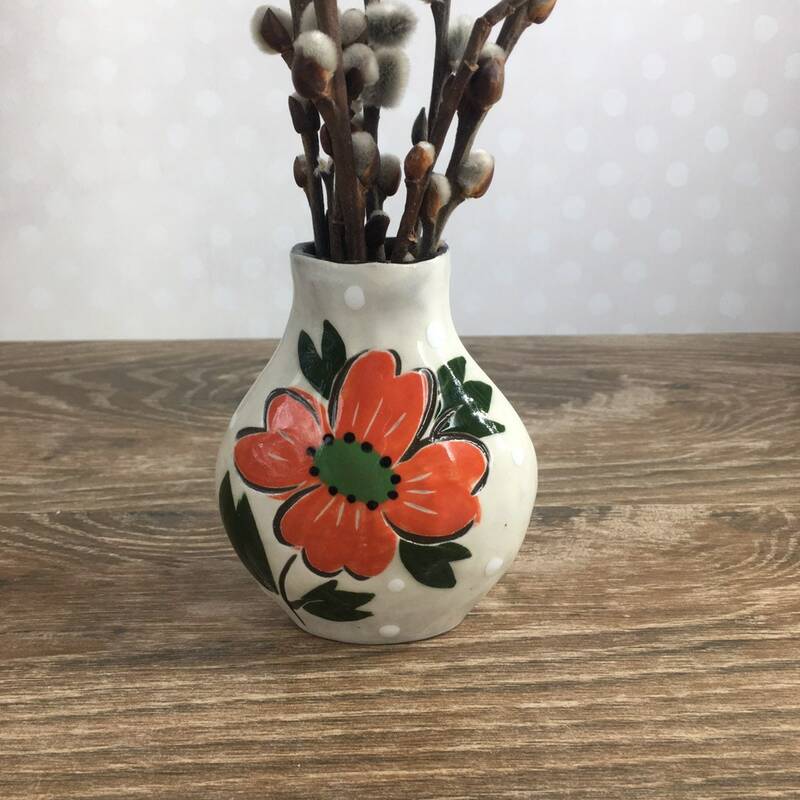 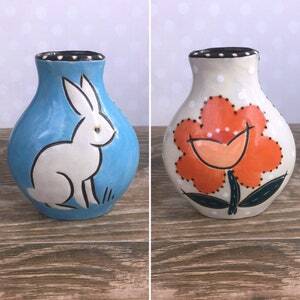 This little flower vase is full of charm from front to back. 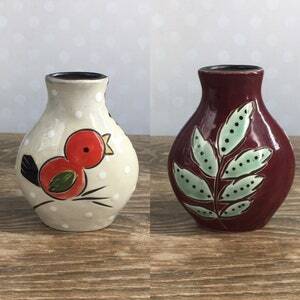 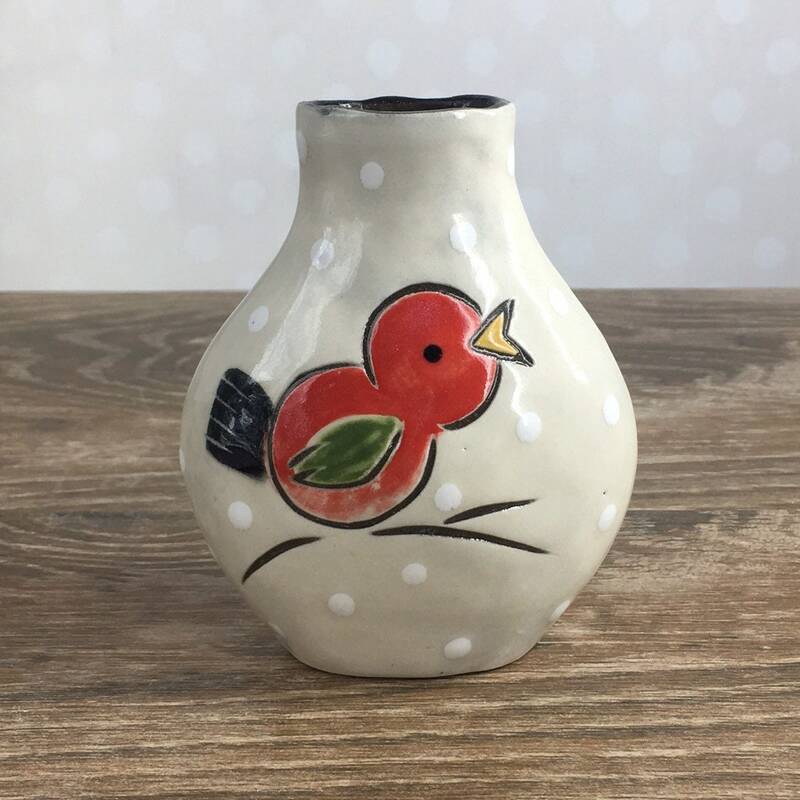 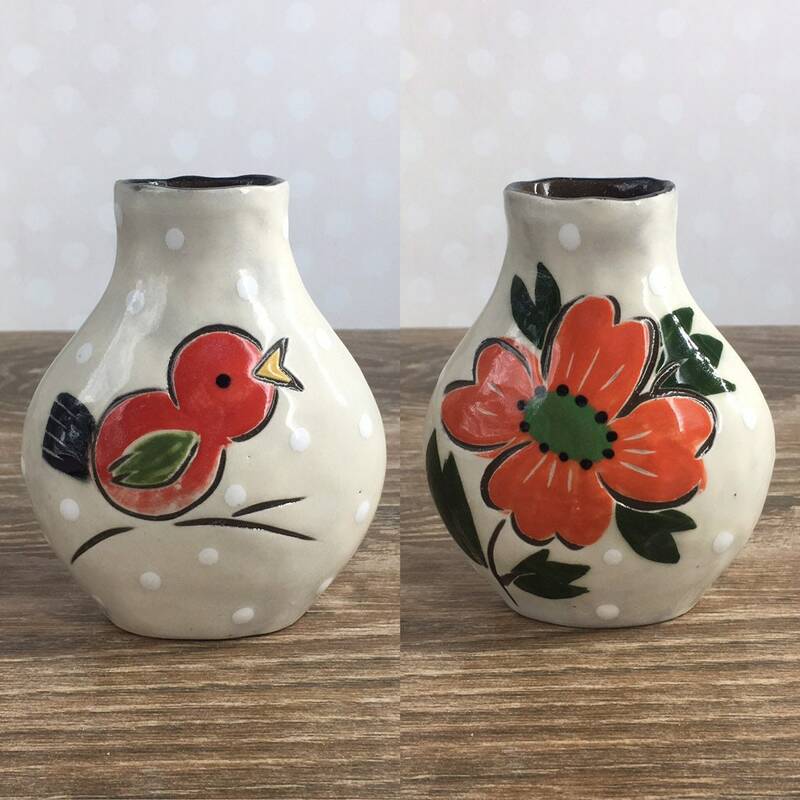 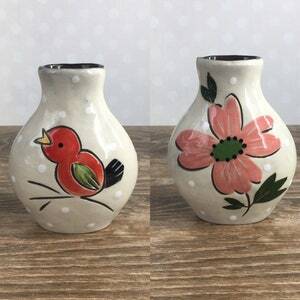 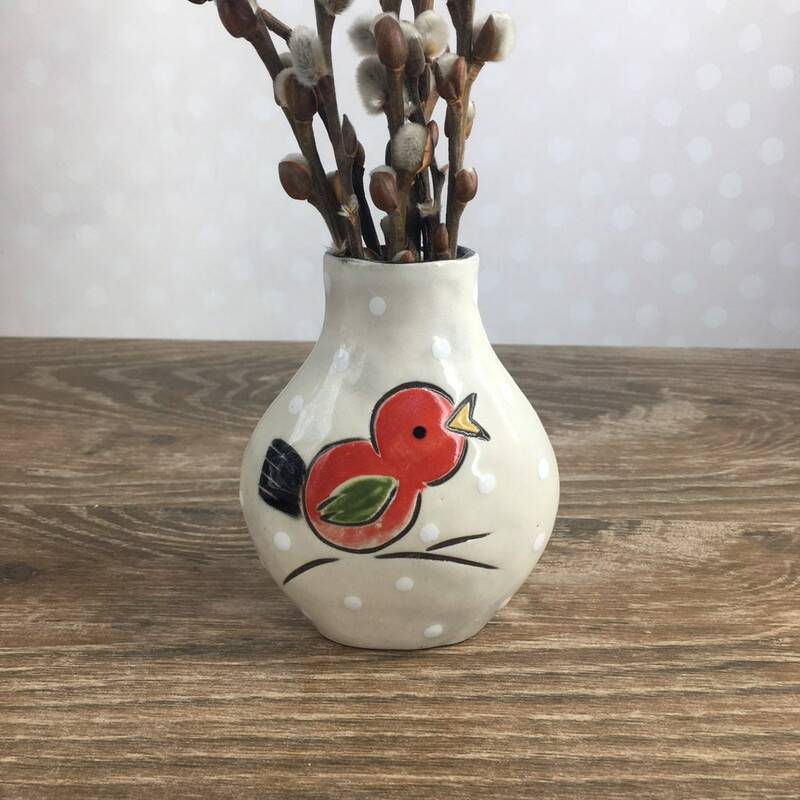 It's hand painted with a sweet red bird on one side and a flower on the flip side. 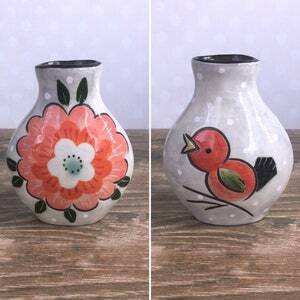 The small size is perfect for a few backyard blooms, a handful of dandelions or a bouquet of lollipops.